Debbie Rowe, the mother of Michael Jackson’s two older children, Prince and Paris, has warned she will demand custody if the civil war in the Jackson family isn’t resolved. Up until now, Debbie Rowe has been happy to remain on the sidelines and allow Michael Jackson’s mother, Katherine, to raise her children. But sources close to the family said Debbie Rowe has become increasingly concerned about how the turmoil in the family is affecting Prince, 15 and 14-year-old Paris. Now Debbie Rowe has filed legal papers at Los Angeles Superior Court backing a new guardianship deal reached between Katherine Jackson, 82, and her grandson TJ, 34, to share parenting responsibilities for Michael’s three children, including Blanket, 10, whose biological mother has never been identified. The stay-away mother claims her concern is for the health, safety and well-being of her children; and says she will continue to ensure their needs are met. 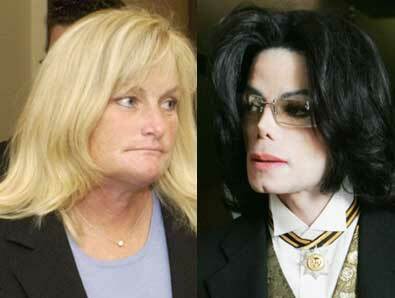 Debbie Rowe is said to have strong feelings that the children should not be put into the care of the Jackson siblings who became embroiled in a bitter feud over the way Michael’s children and his affairs have been handled in the wake of his 2009 death. Last month, Janet, Jermaine, Rebbie and Randy Jackson took Katherine away to a spa in Arizona and kept her incommunicado from her grandchildren because they claimed she was becoming ill from the stress of handling the multi-million pound estate. The bizarre family coup resulted in Paris and Prince, both worried about their guardian’s whereabouts, launching scathing attacks on their Twitter accounts. Katherine Jackson and the three children were the sole beneficiaries in Michael’s will. Debbie Rowe, a longtime Michael Jackson fan, offered to bear the star’s children following the collapse of his marriage to Lisa Marie Presley in 1996. Michael Jackson and Debbie Rowe married that year in Australia and three months later she gave birth to their first son, Prince. Paris was born the following year, but the unlikely couple divorced in 1999 and Michael Jackson took full responsibility for raising the children. Debbie Rowe reportedly received a $9.5 million settlement and a house in Beverly Hills, California, in return for effectively handing over her rights as a mother. In August 2009 – two months after Michael Jackson’s sudden death – Debbie Rowe reached a custody settlement with Katherine Jackson under which she was allowed supervised visits with the children. Debbie Rowe is said to have been monitoring the unrest in the Jackson family closely and agreed to sign off on the new joint parenting deal at the request of the judge overseeing the case. Diana Ross, named as a back-up guardian for his children in Michael Jackson’s will, also agreed to the terms of the new arrangement.